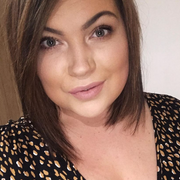 Hello lovelies, I'm super nervous about posting this as I'm not 100% confident at all with my plus size body but the lovely team from Pink Clove sent me some gorgeous pieces from their new range collection so I had to share them with you. Pink clove clothes range from a size 16-28 and actually have gorgeous clothes for us bigger women! I find it so hard to get clothes that fit me and suit my shape and give the illusion of making me look a little slimmer than I am and actually having some sort of style to it, I haven't got any style, I feel I'm too fat to be stylish at the minute, I throw on what fits me and is comfortable. I have joined slimming world, starting to eat healthier and exercise more so my confidence is slowly coming back but I am super impressed with the range from Pink Clove from tops to jeans, dresses, playsuits and more. I thought I would break it down to three outfit choices of mine casual, day outfit and night outfit. I have had this skirt for ages and thought it would team up gorgeously with this black ruffle bodysuit, this is so comfortable for a body suit no discomfort at all and the shoulders don't move around, I haven't needed to just them at all. I feel super elegant in this body suit, its slimming and I just feel really good in it, you could of course go from day to night with this bodysuit teaming it with a nice pair of skinny jeans and heels or a shorter skirt. Its stunning, looks gorgeous with the black detail on my skirt too. This T-shirt is so comfortable I have actually been wearing this to the gym or on my long power walks for the lols. People stare at me at like 3pm when I'm on my power walk like she for real wishing she was still in bed aha, well yes, yes I do. Bed is always a good idea, but back to the T-shirt its great quality, it washes well and I just love the slogan on it, I have paired this here with my trusty jeans from new look because jeans go with everything but I now wear it with my running leggings (not that I run). Ok so I didn't put my fat pants on before this so I would of looked even more amazing if I did... ha! But this is quite loose fitting it doesn't cling to those areas you don't want clinging too and its a gorgeous dusty pink so will go with so many clutchs and shoes and comes with a black belt to synch you in a bit. My mother in law actually came round as I was taking these (embarrassing) but she said wow Paige you look amazing, so thanks Jayne ;). It's booby but not in your face booby, I lifted it up a bit in this picture but if you wanted to show off what your mamma gave you then you can do so, if you've got it flaunt it right? It's lovely material again washes well and I actually don't mind my bum in this, it doesn't ride up your or anything and is quite flattering I think. 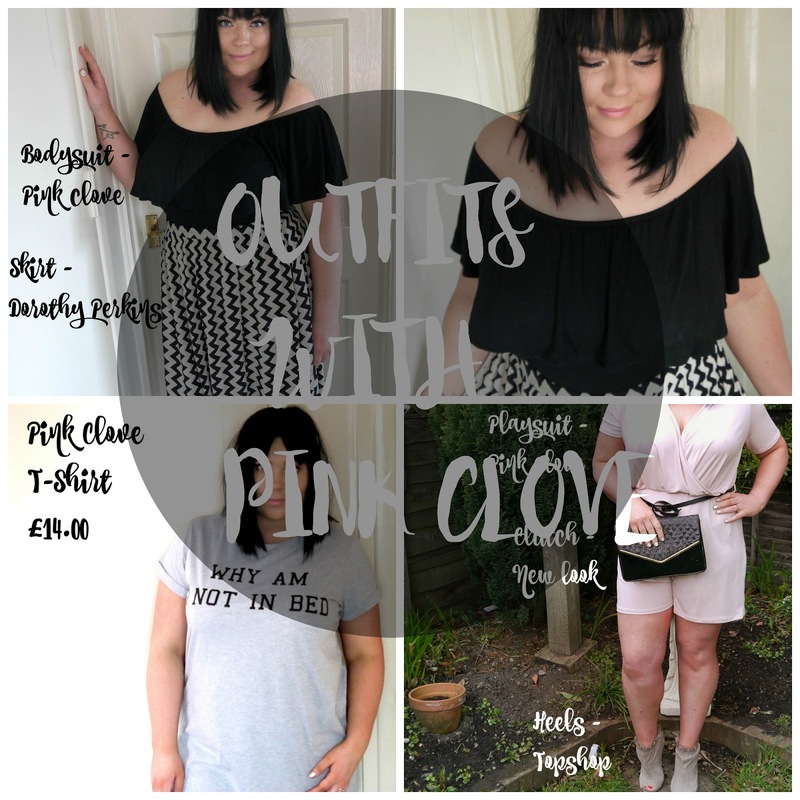 I am really impressed with the quality of the clothes from Pink clove considering how affordable they are, I will be doing another order once I get paid and showing my mum the website and all my plus size friends as I think this is a great find! I can't believe I had never heard of them before they are my new favourite for evening outfits. I love that playsuit and it flatters you so much! You look incredible babes and fabulous in all of the outfits. I understand what you are saying as I often feel like that but I think that is just how we see ourselves and not the people around us, we just get hung up on things that don't really matter. I really like the first outfit for a proper summer vibe and the playsuit is just beautiful!